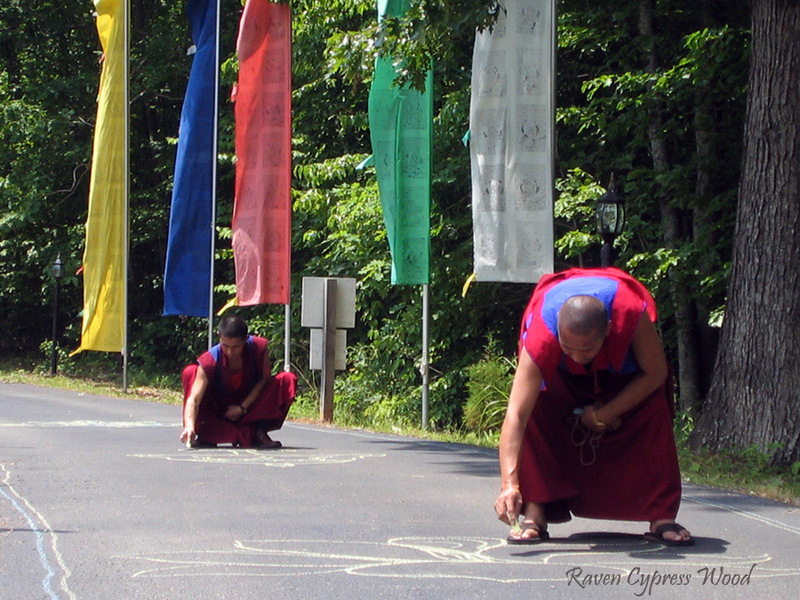 Bön Buddhist monks prepare for the arrival of the 33rd Menri Trizen, spiritual leader of the Bönpo, by drawing the eight auspicious symbols. Posted on May 1, 2013, in Tibetan Lamas, Uncategorized, Yungdrung Bon Sacred Symbols and tagged Asian studies, sacred art, yungdrung bon. Bookmark the permalink. Leave a comment.